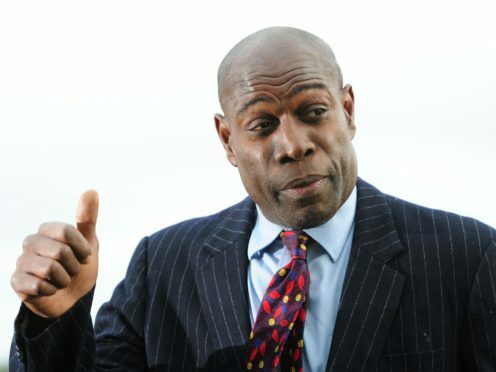 Retired boxer Frank Bruno has told of his joy at becoming a grandfather as his daughter revealed she was unsure they would ever get their relationship back due to his mental health issues. The former boxing champion, 56, has battled depression and was diagnosed with bipolar disorder, causing him to be sectioned in hospital three times. Bruno said he is now feeling “very, very good”, and that he makes sure to take care of himself mentally and physically, and that welcoming his daughter Rachel’s first child into the world has had a positive impact. He said he puts his positive attitude down to “going to the gym” as well as going to Champneys, the health spa. “Try to look after yourself, take your vitamin tablets and go to bed early. I do a bit of meditation and a little bit of yoga too as well as go to the gym and work out,” he added. He had previously said that he was more nervous to become a grandfather than he was before any major title fight at the height of his boxing career. She said they are all “so close now”, and added: “When we were in our darkest days, when my dad was ill, I didn’t think we would get to a point now but it’s so nice, he is medication free, he’s keeping up with everything and he’s seeing her all the time. Although he is off medication, Bruno said that “everyone goes through stages in their lives, when they go through ups and downs”. Bruno’s other daughter Nicola is due to give birth to her first child in October. The live TV interview was then cut short because of the breaking news from Westminster. A car collided with cyclists and pedestrians before crashing into security barriers outside the Houses of Parliament.